03 | October | 2010 | What's Cooking at the Genua's? 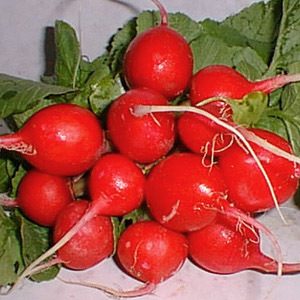 It’s only been recently that I discovered I like radishes. Up until now I always thought I hated them. I really don’t know why. I don’t remember actually eating one when I was younger and deciding that it was gross. I don’t actually remember ever eating one before stating I didn’t like them. Then one day I decided to try one in my salad. Lo and behold I liked it! Go figure. 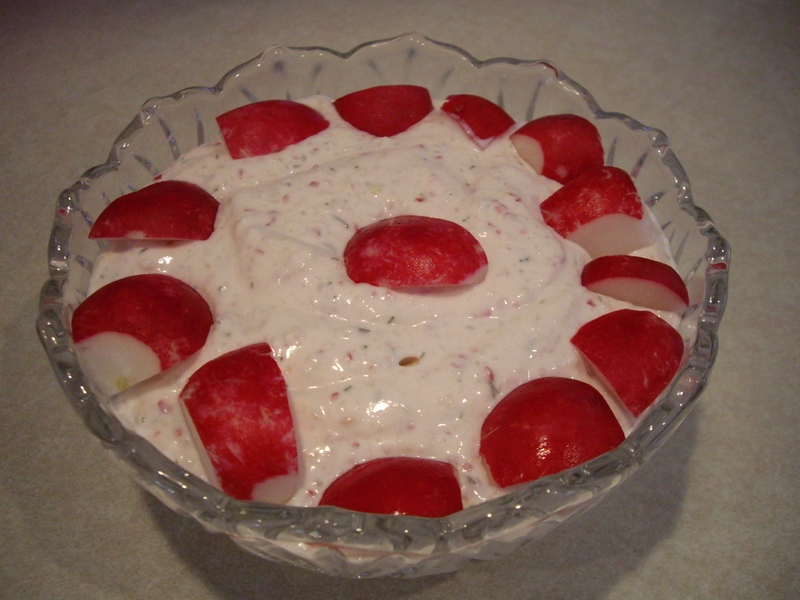 So when I came across this recipe for a Red Radish Spread I thought it was a unique ingredient for a dip/spread. I am always looking for a different spread/dip to serve. We get tired of the same old onion dip, spinach dip, crab dip and so on. This recipe is also from The Queen Victoria Bed & Breakfast Inn that I mentioned in a post the other day. There is nothing really weird in the recipe and though I haven’t actually made this yet I am going to get some radishes this weekend and give it a try. Process all ingredients in a food processor. Cover and chill several hours. Serve with crackers or veggies. Ok, I made the spread. It came out delish! I know, this kind of looks like strawberries. It was very tasty though and I of course added more garlic than the recipe called for. Still great! So easy to make too. Try it! !